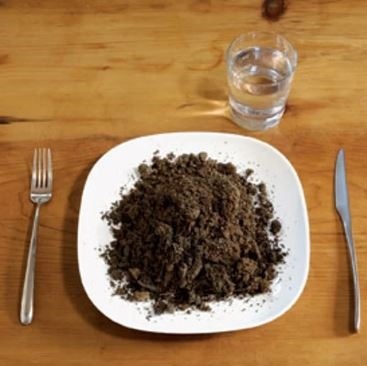 PREGNANT WOMEN WHO EAT SOIL MAY HAVE A DANGEROUS DEFICIENCY! Several women develop an addiction to eating non-nutritive substances, but being addicted to soil is a red flag that you may have a dangerous deficiency and it could harm you and your unborn baby. These were the strong words of a nurse when she discovered that patient Busiswa Booi* (22) was eating clay and soil while she was pregnant. Booi is among the many South African women who develop a strange need to eat soil during pregnancy. But unlike many who have not suffered any side effects as a result of their unusual cravings, she had complications. During labour women lose a substantial amount of blood, and already low iron levels could be impacted negatively by the added loss of blood – which could be life threatening if they don’t receive a blood transfusion or treatment. “Before giving birth, I was put on about six drips and after giving birth, they gave me a blood transfusion because I had lost a lot of blood. I am thankful that they were able to get me blood when they did, because I probably would not have survived,” said Booi*. Another woman who also developed an addiction for eating dirt is Judith Sambo* (26) who gave in to her cravings for soil during the third trimester of her pregnancy. Sambo* continued to eat soil until she was due. After the birth of her baby doctors realised that there was something wrong with her. Her doctor spoke to her in order to establish why her iron levels were so low. The craving for soil by pregnant women is a symptom of a severe lack of iron. Some of the side effects of eating soil include constipation and faecal impaction. Soil may also interfere with the absorption of nutrients, and can also suppress appetite which may cause the foetus to receive insufficient nutrients for developing well in utero. Women craving soild during their pregnancies are therefore advised to have their iron levels checked in order for them to be monitored and treated if necessary.